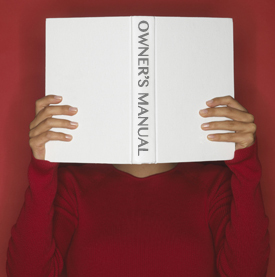 Do You Have Your Owner’s Manual? Have you read your owner’s manual? Each of us is given this amazing body that takes care of millions of details all by itself without us having to give it any conscious thought. This “autopilot” feature of our bodies gets many of our patients into trouble. It prompts many to neglect some of the basic maintenance necessary for a long, trouble-free life. If our bodies came with a manual, exercise, getting the proper rest, eating nutritious foods and drinking enough pure water would all be mentioned. Neglect any of these and your body warns you with hunger, thirst, lack of energy and other symptoms. What else would be in the manual? Since your nervous system orchestrates everything, making sure yours is subluxation-free would also be mentioned. That’s where we come in. That’s the primary purpose of chiropractic care. Sure, pain can be a compelling motivator. However, it’s a lot like waiting until you’re starving to death to eat, or not drinking any water until you’re delirious! Don’t wait until you’re “starving” – call us today to schedule an appointment!